It’s again time to vote for the Planetary Awards, the chance to nominate your favorite novel and shorter story for last year. At the beginning of each year bloggers are called to vote for the Planetary Awards, a chance to showcase your favorite novel and shorter story from last year’s readings. 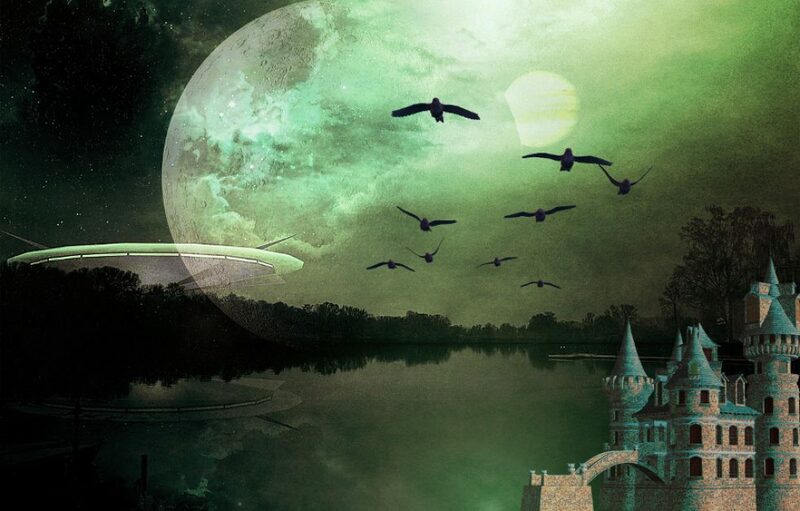 The contest is promoted by PLANETARY DEFENSE COMMAND and you can go HERE and learn how to list and promote the titles that caught your imagination more than others, or that were amazing discoveries from so-far-unknown authors. Once again I went through my 5-star-rated books to choose, and once again was reminded how difficult that choice can be when you can nominate only one title in both categories, the Full Length Novel and the Short Story. Last year I picked my nominees by letting blind chance decide, but this year I wanted to do something different, so I decided to choose an unknown to me author and a well-known one, so that I could feel a sort of… balance in the process. And as usual, my thanks for Planetary Defense Command for hosting the awards! The contest is promoted by PLANETARY DEFENSE COMMAND and you can go HERE and learn how to list and promote your “darlings” – which is quite easy on the technical side, and not so easy where the actual choice is concerned. I discovered this hard truth by looking at my 5-star reviews for 2017: picking one for the full-length novel was the hardest choice of all, so I started with an elimination process that excluded the authors in my “buy sight unseen” list, for the simple reason that they are all well-known, much acclaimed authors and since this year I had the incredible luck of discovering several amazing debut novels, I wanted to spotlight them, so their authors could get some more visibility. Not that this made my choice any easier… So I had to resort to the time-honored, if not scientifically sound, method of writing the titles of these novels on pieces of paper, mixing them in a box and picking one with my eyes closed. Then I repeated the process for the shorter works, just to keep feeling… solomonic. My thanks for Planetary Defense Command for hosting the awards! Like last year, Planetary Defense Command promotes this award for our favorite Science Fiction and Fantasy works (and I’d like to add my thanks for the timely reminder I received today, since I almost forgot that time was running out to post my choices). HERE you will find all the necessary information: the deadline for the nomination is February 14th, at 11:59PM US Pacific time. So there is still time to choose and post your nominations! My thanks to Planetary Defense Command for this opportunity to list my 2016 favorite reads! For Shorter Story my choice fell on GRR Martin’s THE GLASS FLOWER, a SF story about death, rebirth and the search for eternal life, and perfection. It’s a tale that’s both wonderful and chilling – in perfect keeping with Martin’s style – and one that can be both enjoyed in writing and in the amazing audio version read by Australian actress Claudia Black. For Traditionally Published Novel my choice goes to James S.A. Corey BABYLON’S ASHES, the sixth volume in the Expanse saga: I’ve come to anxiously wait for each new installment of this engrossing space opera series, that has quite redefined my parameters for what I most enjoy in the genre. So I’m done – in the nick of time… And now let’s see how it goes! 1) If you could meet any author, from any time (past and present), who would that be and what would be your most pressing question? That’s an easy one: GRR Martin, and the question – surprise, surprise – would be about a firm publication date for The Winds of Winter. 2) Who is your absolute favourite character, ever. I know you’re probably groaning and rolling your eyes but there must be one character that springs to mind immediately – probably followed by a host of others – but, I want that first knee jerk reaction please and why! Let’s remain on Game of Thrones territory then: the knee-jerk reaction reply would be Arya Stark – I’ve always admired her strength of character and determination, and rooted for her since day one. 3) What is your favorite series out of all the books you’ve read? The series you would recommend without hesitation. Since I just finished the fourth (and hopefully not last!) volume of M.L. Brennan’s Generation V series, I would go with that one: urban fantasy that does not rely on the usual tropes and that mixes drama and humor in a seamless whole. 4) What’s your preferred reading format, book or e-reader? E-reader: I can take with me more than one book, no matter how big, and acquire new titles as soon as I decide I would like to read them. Fast and practical: no one could ask for more! 5) The book you were most looking forward to but ended up being really disappointed with? 6) Blogging – what do you love/not love – any embarrassing moments? What I love most of the blogging experience is the exchange of points of view over books, and the way that sometimes they can wildly diverge: it’s truly fascinating to observe how different people see the same story from different angles and help me gain insights that I would not be able to obtain on my own. 7) Most anticipated book for the remainder of 2016? 1) What’s the book that you have owned for the longest time and not read yet? 2) What’s the book (or series) that you feel you “must” read and yet don’t feel inclined to? 3) Books are usually better than their movie translations, but sometimes the opposite happens. Do you have any example for this… strange phenomenon? 4) A book everyone hated and you loved. 5) A book everyone loved and you hated. 6) Your favorite quote from a beloved book. 7) Is there a closed book series that you wish had continued? It’s your turn to have fun, people! 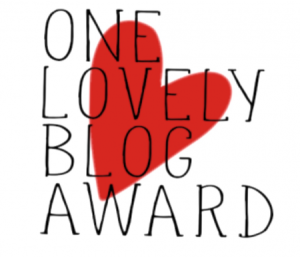 What better surprise than to turn on your computer on a Saturday morning and discover that you’ve been nominated for a blog award? This is what happened to me, thanks to Lynn at Lynn’s Book Blog. 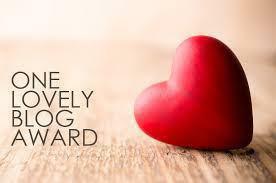 Nominate 15 other bloggers and leave a comment on their site to let them know of the nomination. So, this is something of a place-holder for a more complete post, where I will fulfill the requirements for items 3 and 4 in the checklist, hopefully before the end of the universe, since I’m totally inefficient about this kind of thing. I found an unexpected and delightful surprise today, when I came home from work and turned my computer on: the talented Ana, from Ana is the Bookworm, nominated me for this wonderful award. It was not just a surprise, it was a great way to start the blissfully free part of my day! Thank you Ana! Now, I should share seven facts about me, as the rules of this “game” require… Well, I’m too much of a private person for that, sorry! (((Insert sheepish smile))) On the other hand, I can freely admit to being a bookworm… Ok, that’s not much of surprise, is it? And finally, I need to nominate fifteen blogs I enjoy: I don’t have that many on my list, mostly because my time is so limited – but I can assure you that the blogs you will see listed here make up the shortness of the list with sheer quality. I hope you enjoy reading them as much as I do. And again, many heartfelt thanks (and my best wishes for plentiful and successful writing) to Ana!